When it comes to the data center, companies struggle to control server sprawl and increasing complexity. Faced with complex data center operations, CIOs find it increasingly challenging to support business needs efficiently and effectively. 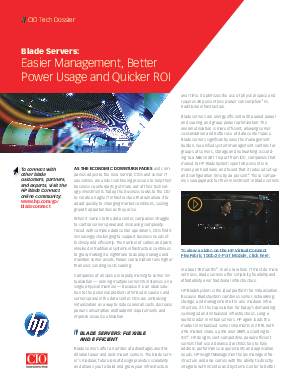 Click here to learn how blades serves will allow you to build and grow your own infrastructure with less power consumption than traditional structures.